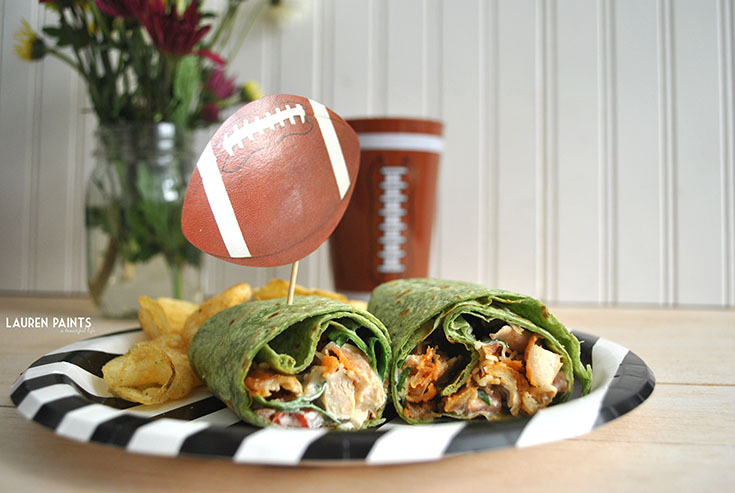 #AD The Perfect Homegating Party Food: Delicious & Quick General Tso's Wraps, Hot Wing Wraps, & Homemade Ranch Dressing! This year I'm gearing up for The Big Game in a big way. 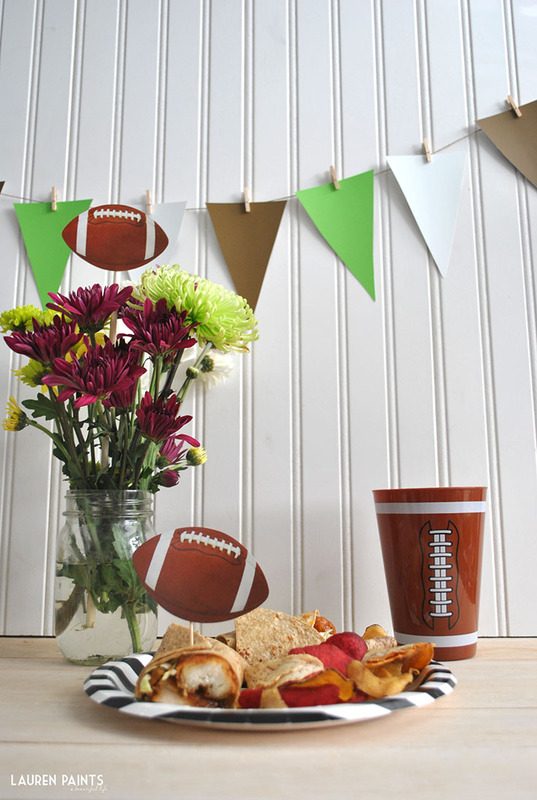 Party planning and homegating in style are two of my favorite things in life, so as you can imagine I'm super excited to throw the perfect party and watch The Big Game. Eh, well, let me rephrase that... maybe I'm not a football enthusiast and I don't really speak the lingo but I can definitely throw an epic homegating party and I am a bit of an advertising/media nerd so watching the commercials totally makes my day. It's the little things, right? Speaking of, I like to spend time embracing the little things with my loved ones everyday. We all could stand to spend more time experiencing and appreciating the little things and worrying less about things that don't really matter, couldn't we? So I opted to let Walmart Deli help me get ready for my most recent football party. Spending time with family and friends laughing and joking and getting to enjoy some delicious food was way more fun than stressing out over my stove with my family in the other room. 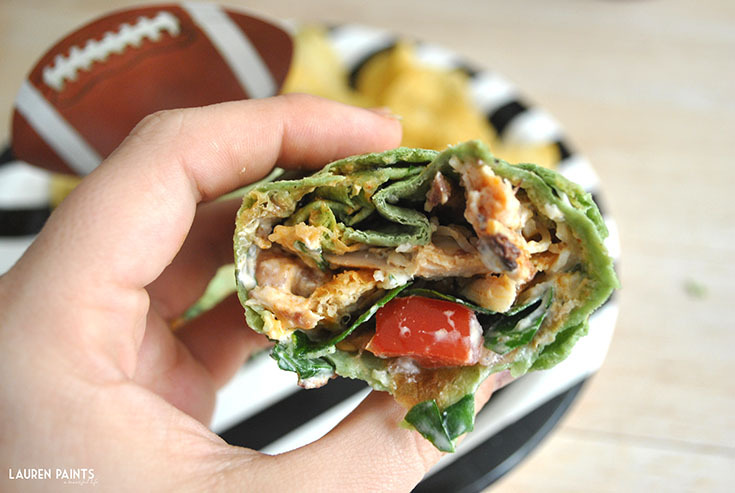 So today I'm sharing this delicious and quick chicken wrap recipe I whipped up so that you can enjoy more time with your family and less time stressing out over the little details on busy days in your home. 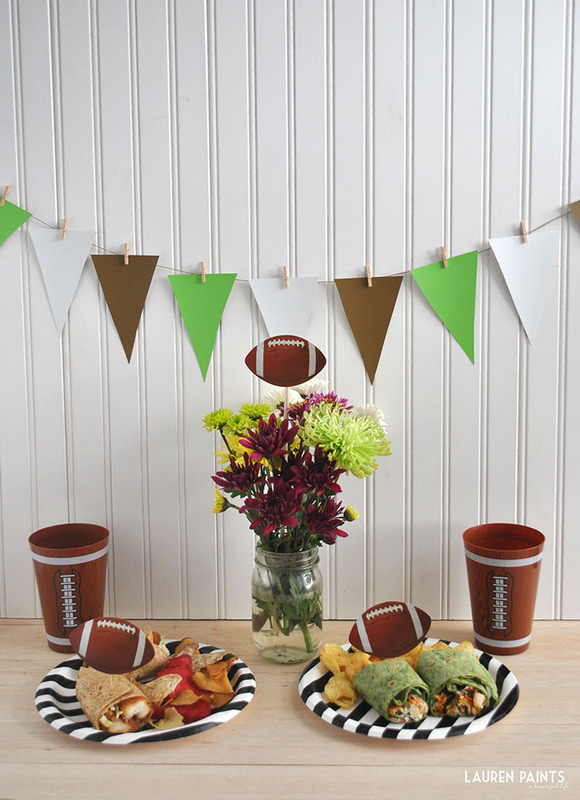 Who's ready for some football?? Now the real question, who's ready for some chicken wraps? 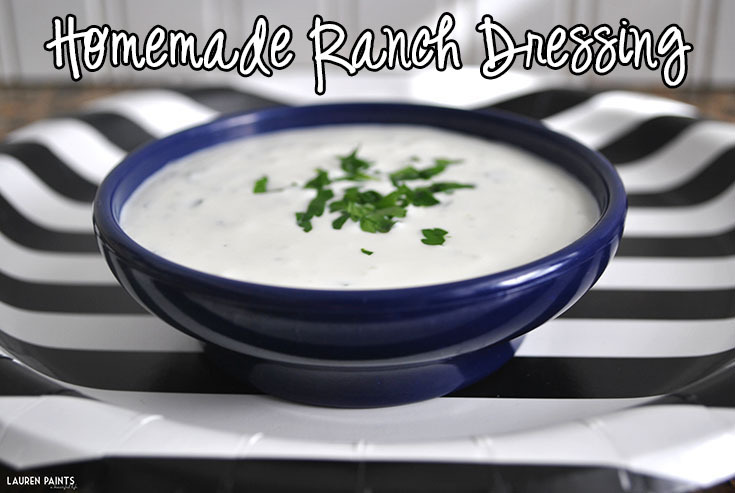 How about some homemade ranch dressing? 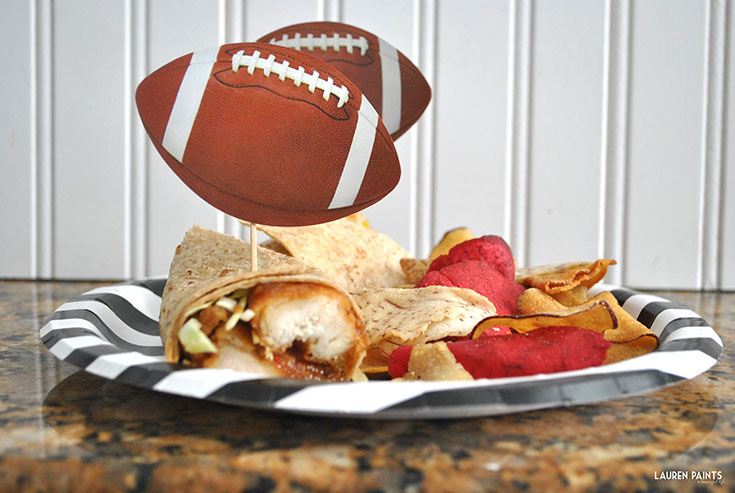 All made in a snap and certain to "score a touchdown" with your family! The beauty of these delicious little wraps is that your main ingredient is already prepared and piping hot when you get home. Visit the deli and grab your wings on your way out of the store so they are the freshest and hottest they can possibly be! 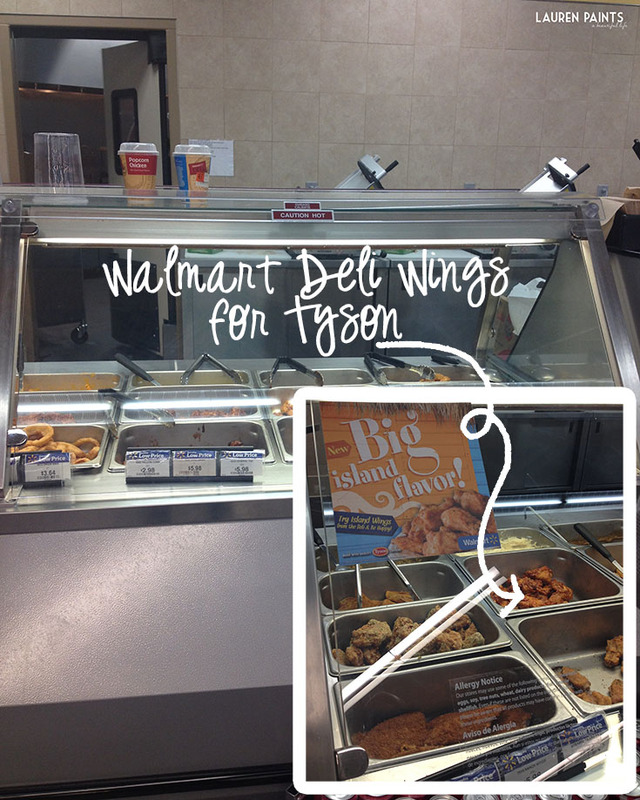 I grabbed Wal-Mart Deli for Tyson General Tso's Boneless Wings and Bone-in Hot Wings for my wraps but they have several options to choose from, so get whichever your heart desires! Heat tortilla for approximately10 seconds on each side. 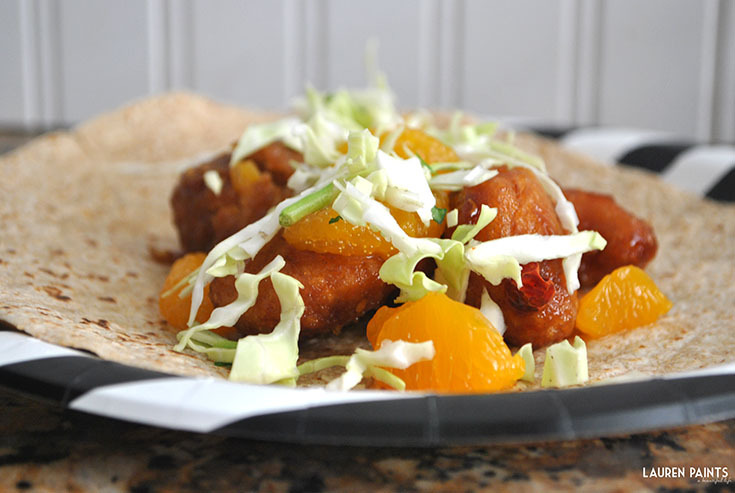 Add a handful of General Tso's Boneless Wings on wrap, sprinkle chopped cabbage, and mandarin oranges over the top of the wrap. Fold the wrap inwards on opposite sides and roll together. It's that easy, now repeat with the recipe below! Heat tortilla wrap for approximately 10 seconds on each side. Add a handful of spinach, a decent helping of tomatoes, and a healthy serving of the homemade ranch (recipe below) to your wrap. 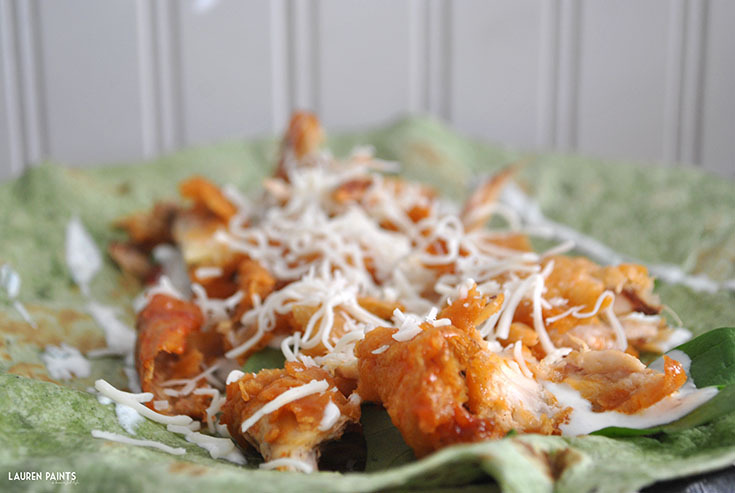 Now add the pulled off the bone hot wings to the wrap and sprinkle a bit of mozzarella cheese over the top. Fold the wrap inwards on opposite sides and roll together. Your wraps are done! 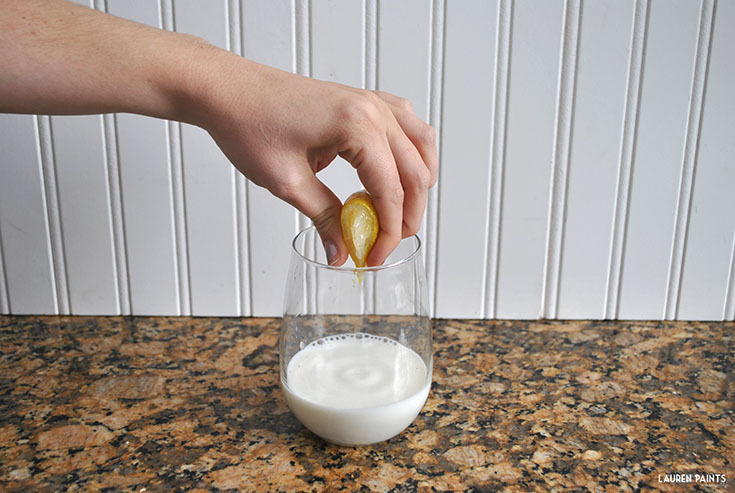 Combine milk mixture and sour cream in a medium sized bowl, whisking until smooth. 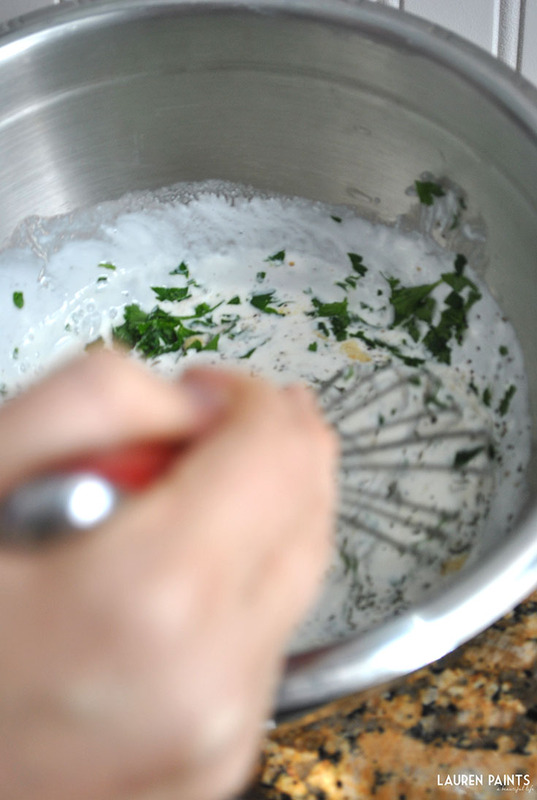 Add spices & parsley, whisk until thoroughly combined. Transfer dressing to a jar with a tight-fitting lid and refrigerate, it should be "good" for a couple of weeks if it even lasts that long! So that, my friends, is how this gal puts a quick and delicious meal together in minutes for my homegating parties... I'd love to know what quick recipes you use while entertaining guests or throwing parties? 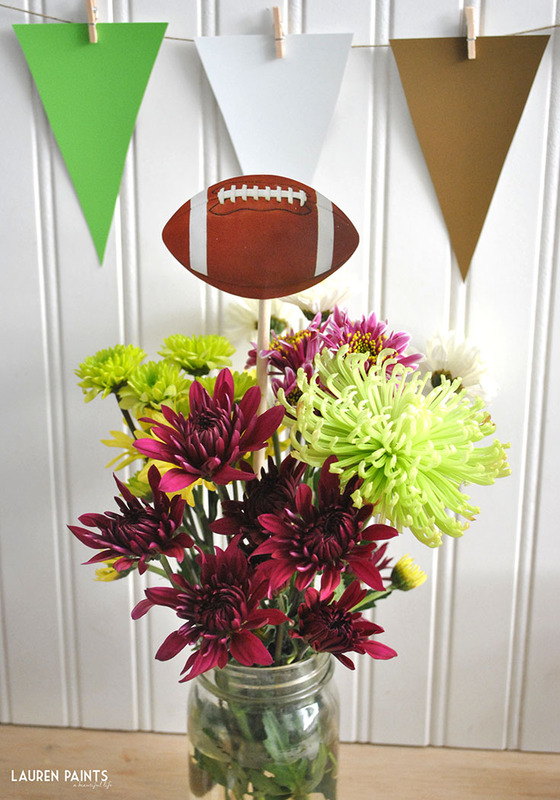 What's your favorite part about "The Big Game"? Want to hang out with me at the store and eat some wings? 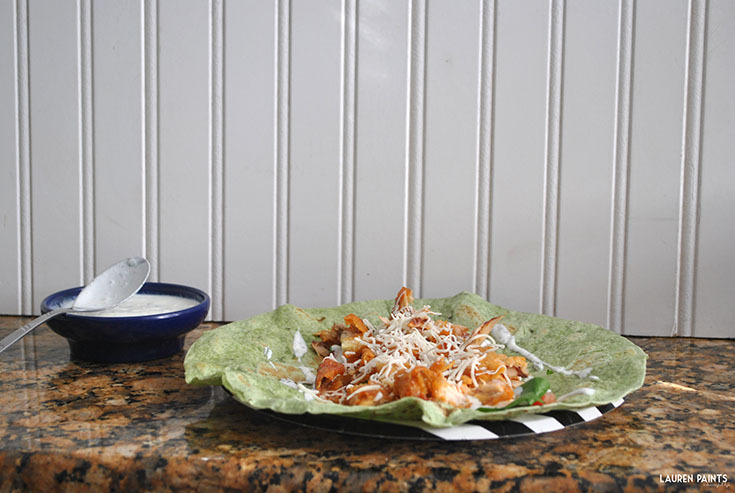 What about sampling some delicious food all on the house? Check this list to see if you can attend the Tyson Deli for Walmart demo and let me know if I'll see any of your shining faces at the Pinellas Park location!